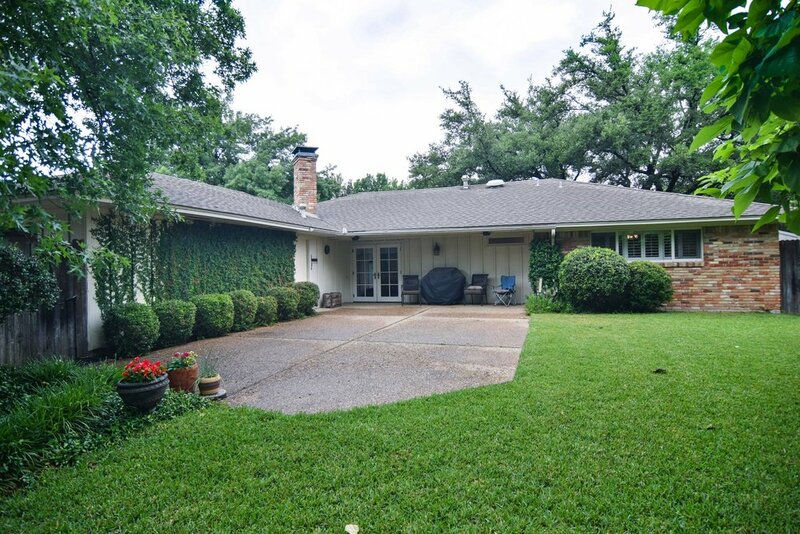 This beautiful landscaped home is situated on a quiet street with mature trees in a great neighborhood. 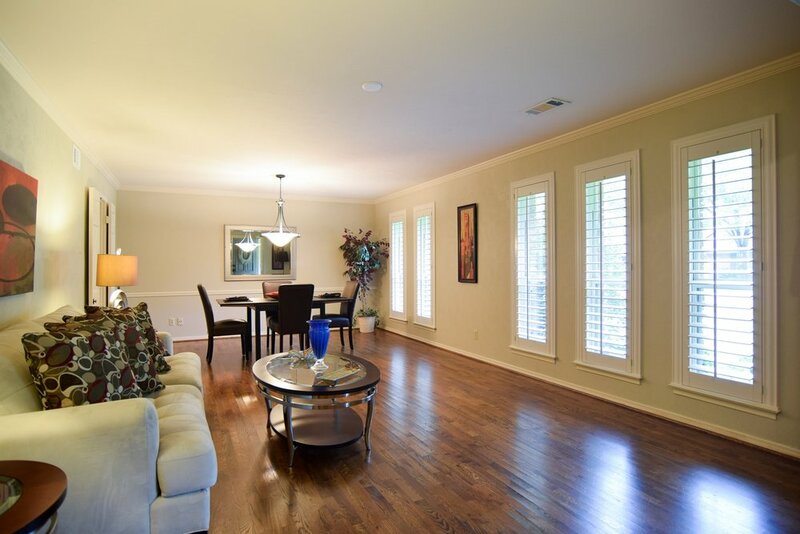 The home is completely updated with Hard Wood floors, plantation shutters and double paned windows. 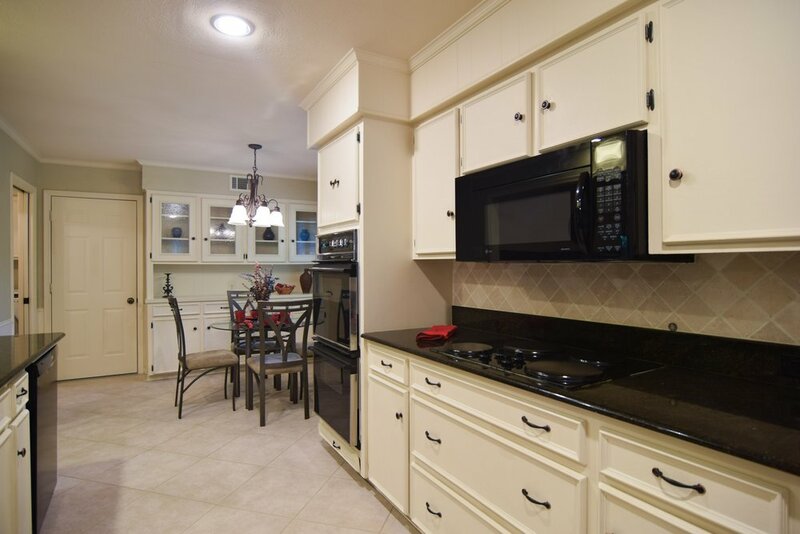 The kitchen was updated with beautiful granite counter tops, custom tile back splash, tiled floor, stainless sink Bosh Quiet dishwasher and featuring a double oven. Enjoy your coffee in a cheery breakfast with built in hutch. 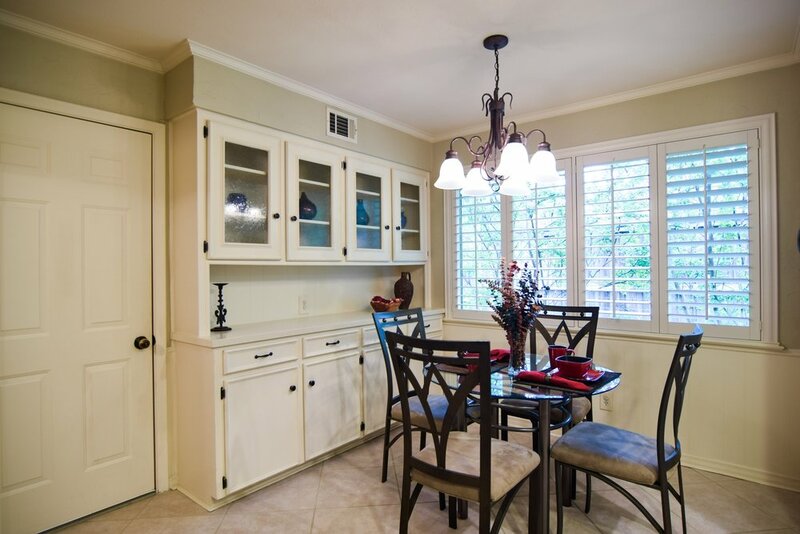 The large Den welcomes you with a vaulted ceiling, recessed lighting and a brick wood burning fireplace. 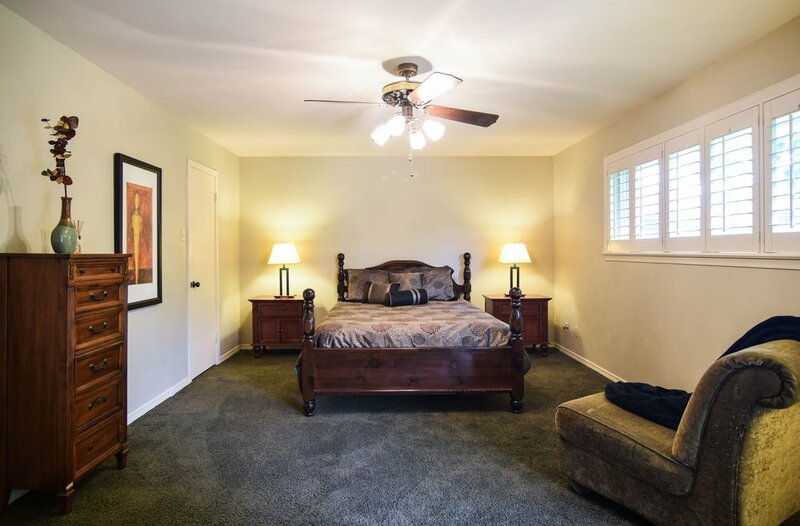 The large master suite accommodates a king size bed with plenty of room left over with 2 closets, one walk in. 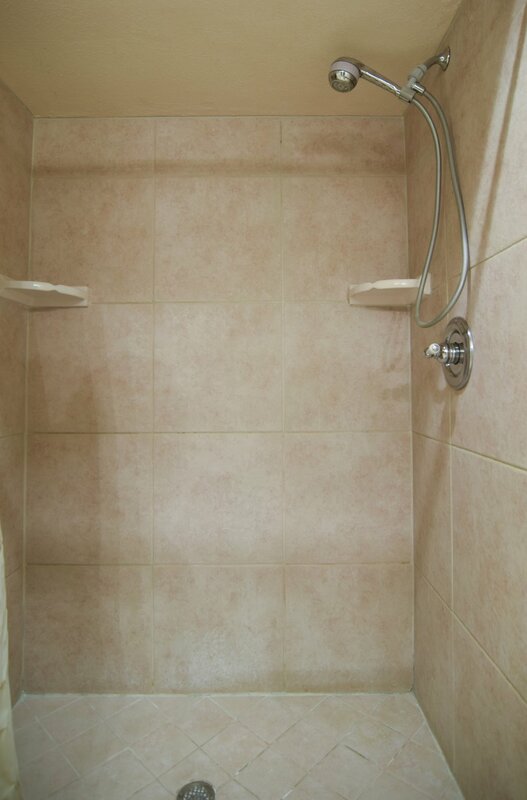 The master bath has a dual sinks, a separate vanity and full size shower. An updated Jack & Jill bath with full tub is situated between the 2nd and 3 rd bedrooms. The backyard has great landscaping surrounded by a wood fence with a good sized covered and open patio. 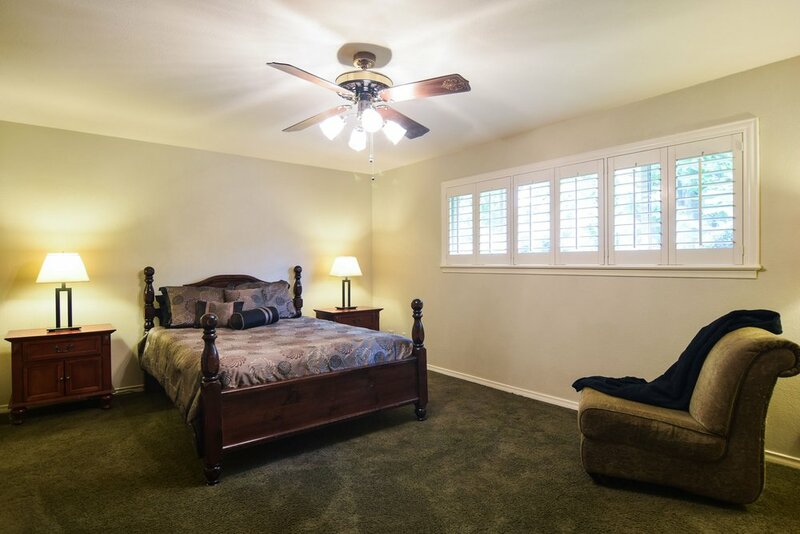 Other improvements include updated hardware and mechanics, extra attic insulation, automatic sprinkler system, ceiling fans and attached 2 car garage with extra storage.